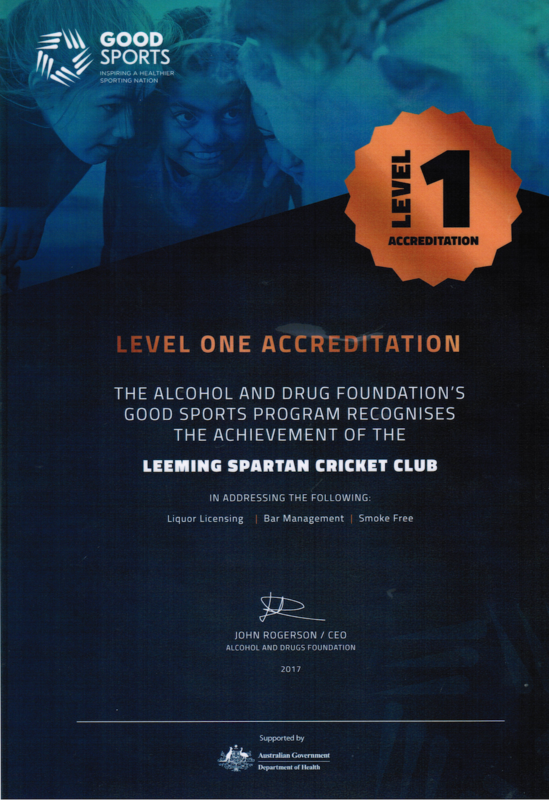 We’re very excited to announce that the Leeming Spartan Cricket Club is now a Level One GoodSports Club, helping to promote good health and safety throughout sporting clubs in Western Australia. Sporting clubs such as ours play a significant role in the community and have a responsibility to our members and their families. We have chosen to join over 7000 clubs across Australia taking part in the GoodSports program. Through GoodSports, we are committed to managing alcohol responsibly and ensuring smoke free areas, which we believe will help us to provide a healthy, safe and family friendly environment. 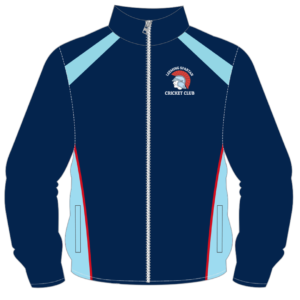 Be sure to speak to our Spartan Committee about what being a GoodSports club is all about or visit www.goodsports.com.au. Importantly, our status as a GoodSports Club is welcomed by all government departments, and will greatly aide the Club in its push to secure significant grants and project plans in the future. The GoodSports program works with clubs now including the Leeming Spartan Cricket Club, to help them provide safe and healthy environments for families to play sport. As a GoodSports Club, we are committed to managing alcohol responsibly. Did you know alcohol can affect sporting performance and recovery? Keep an eye out this summer – we’ll be working hard to reach level two of three before season end! Learn what a Level Two Club entails by clicking here! In the meantime, we’re celebrating our Level One Accreditation!